Interview with founder of Addicted 2 Success, Joel Brown. With a website that has received more than 50-million unique visitors, a popular podcast show, and an upcoming role in a movie, Joel Brown is by most standards, a successful man – some might even say he is addicted to success. Indeed, Addicted2Success is the name of Joel’s thriving self-development brand. It is a name which he admits might cause a little eye-rolling in some people. But this is not the self-serving tale you might expect. Joel Brown’s mission is to pass on the tools, habits, and mindset that make people successful. The rewards he gets are just a pleasant side effect of his always-giving mentality. He loves nothing more than sharing practical and proven steps so that others can achieve their desires. Lesson number one: The more you give, the more you get. It’s Okay to Change Your Passion. Some people find their “one” passion early and spend their whole lives dedicated to fulfilling it. Joel Brown was not one of those people. He had stints in the music industry, sales, and even spent time saving wild animals in the desert in North West Australia. Except for the music industry, nothing else stirred his passion. Passion, it seems, is a curious thing. One day you might have it, and the next day it could be gone. At age 13, Joel knew he had a passion for music. He loved beat-making, producing, and DJ’ing. He even started producing shows for local radio stations after exercising his instinctive persuasion skills. Throughout his tender teen years, Joel showed the kind of persistence and determination that was sure to lead to a long and thriving career in the music industry. However, he gave it all up. Somewhere along the way he lost his passion for music. Giving up on music was the first time Joel had given up on anything, and it felt strange. He knew, however, that it was the right thing to do. New life experiences and changes in the way we look at life can cause a shift in the things that once made us passionate. That is what happened to Joel, and so he left his music career behind. But, not long after, he developed an even stronger passion. Lesson number two: We don’t just have one passion in life: values change, experiences come, new passions surface. Joel Brown is not the only person to have lost a passion in life. He also wasn’t the only twenty-four-year-old to find himself in a slump. That can often happen when you suddenly find yourself without a cause in life. One of the primary cures for this, it seems, is to find a new passion. Joel found his new cause after a chance meeting with Jordan Belfort. The sales company that Joel was working for organized a workshop, and he was able to meet the Wolf of Wall Street face-to-face. That meeting changed Joel’s life. He learned the importance of having clarity, of thinking big, and of having a long-term vision. These are key ingredients in the recipe for success. Clarity of mind allows you to stay focused on primary goals, thinking big prepares you to exceed those goals, and with the long-term vision, you can envisage and plan for potential obstacles. After meeting Jordan, Joel became a man on a mission. He began devouring self-help books, listening to motivational speakers such as Anthony Robbins, and carefully mapping out his life plan. It is, as Joel teaches, important to document your goals and visions. But, more importantly, you need to “write down how you’re going to get to where you want to be.” Not many people have a fair idea of where they want to be in 5, 10, or 15 years, but when pressed can usually give a broad description of how they intend to achieve their goals. Writing it down on paper, however, forces you to get things out of your head in some detail and acts as your roadmap. Seeing is believing, as they say, and once it is written down you will have a clearer picture. Lesson number three: Spend time on Clarity. Write down your goals and chart your roadmap to achieving those goals. One of the most important things that happened when Joel met Jordan was his shift in mindset. He becamehungry for self-improvement and gained a desire to make a meaningful impact on the world. He found another passion outside of music and became energized once again. The whole experience revealed another interesting thing; when you are passionate about something you become massively energetic. Even though Joel was still working 12-hour days at his sales job, he still found the time to work on his media platform, addicted2success. Instead of asking. 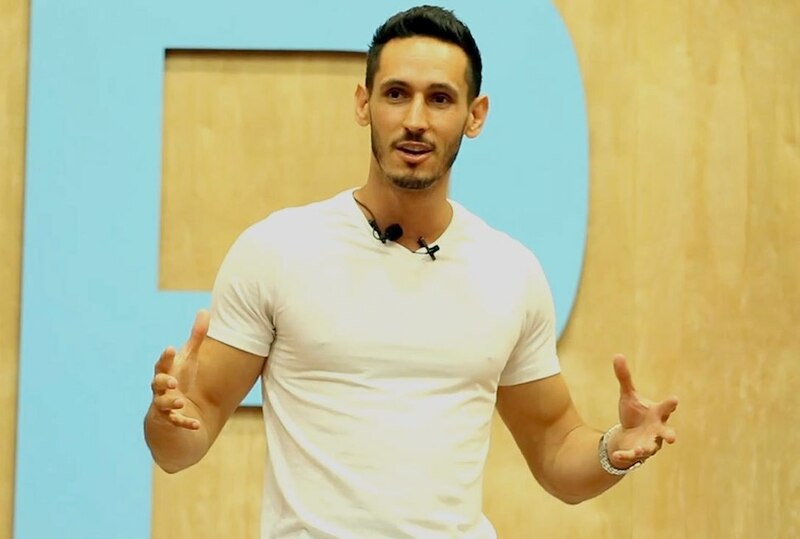 Like most people do, “how do I find time,” Joel asked, “how can I make time.” He was so passionate about his new project that he would complete his days at the sales job and head straight home to work on developing his new business. It wasn’t long until he was able to leave his sales job and commit full-time to the new business. Lesson number four: Do things that light you up; energize you; make you feel alive. Having lots of energy is more fulfilling than having too much time. They say you are the average of the five people you spend time with. That is because your network of friends has a powerful effect on your behavior, mindset, and unconscious mind. The books you read, the things you watch, and the websites you frequent all have a similar effect as your network of friends. They create habits. Lesson number five: Success often requires a change of mindset; a change of mindset often requires different external influences. Passion and motivation differ for everyone, but they can normally be identified by the energy they bring to your life. Joel gets energetic by giving and helping others succeed. He loves creating things and giving it to the world, knowing that someone, somewhere will benefit from his work. Joel is not the first or only self-help professional out there. But he is by most standards a huge success. The reason is that he stands out from the crowd. He stands out because he knows what he is talking about, he has a genuine willingness to help people, and he is exceptional at what he does. Uniqueness, Joel says, is the best way to win in business. You need to bring something different to the table. You need to be outstanding. And with the lessons he gives, you will have all the tools needed to become an outstanding success. Lesson number six: You don’t have to be the first or the only, but you must be unique.